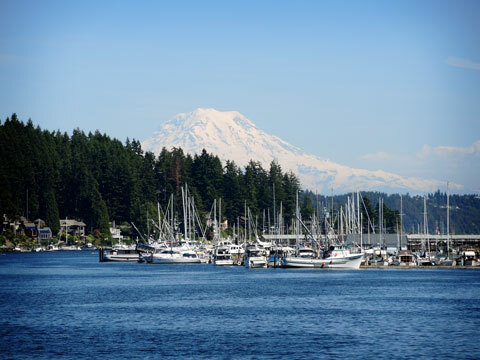 With an increasing number of shops, destinations, and natural setting, walking is the way people who live and play in Gig Harbor experience the waterfront. 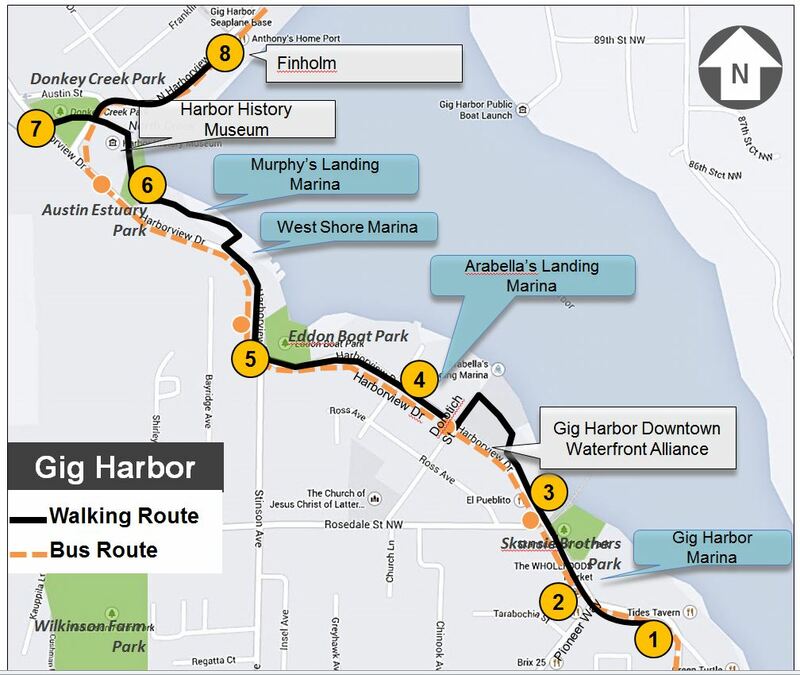 With the update to the City of Gig Harbor’s Transportation Plan, the walking audit provides an opportunity to include recommendations for a safer, more accessible, and inviting walkable waterfront for people of all ages and abilities to walk. 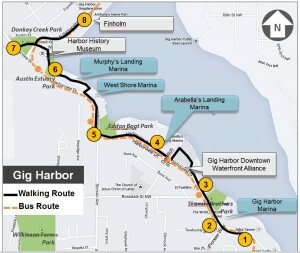 The Gig Harbor Downtown Waterfront Alliance is working with and Feet First to identify opportunities and challenges walking along the waterfront from the Ferry Landing to the Harbor History Museum. The public is invited to participate in the conversation by downloading the maps below and walking the designated route. This walk is part of a larger ongoing conversation with the community to examine how to create a comprehensive transportation strategy will improve health and neighborhood vitality. A number of stakeholders will also be walking the route in mid-February and adding to this walking audit report. Information will be compiled and put into a Walking Audit Report. Findings from the report will be included in the transportation plan and shared with the community in March. This walking audit is made possible by funding from the City of Gig Harbor and The Gig Harbor Downtown Waterfront Alliance.